I have never met ANYONE who has won with money that did not save substantial money and maintain significant financial margin. When I was broke, I never had any money. 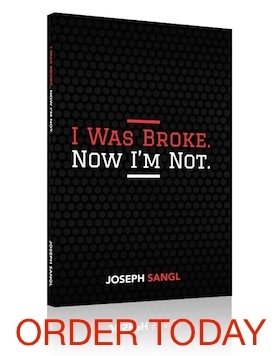 I thought I was broke because I did not have any money. The truth was I was broke because I had never prioritized saving! The day that I decided to save money every single time I received money was the day that we truly started winning financially. If you are broke and think it’s because you don’t have money try making SAVING a top priority that happens every time you receive money. Watch what happens! So true. One of the reasons it took us a little longer than we wanted to get out of debt is because we decided to run up savings and keep up savings along the way. That one discipline has prevented us from acquiring ANY new debt for the past 7 years.